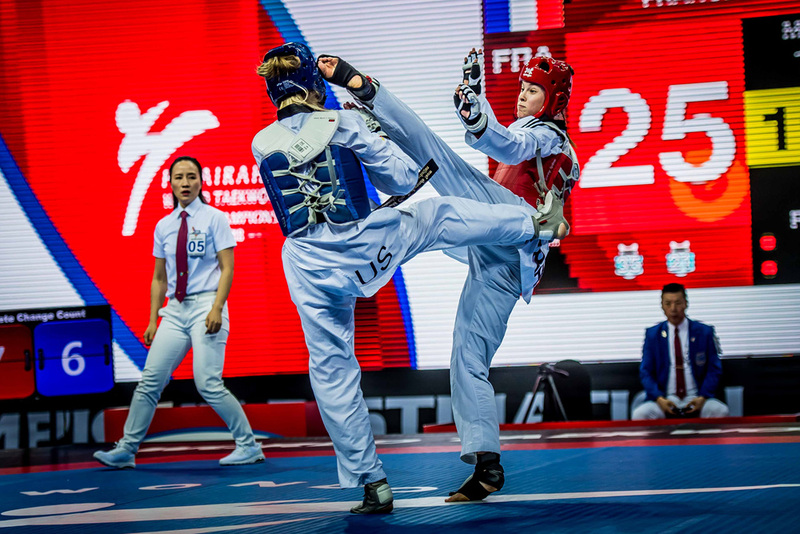 FUJAIRAH, UAE (Nov. 24, 2018) – Full-on action was the name of the game today as the 2018 World Taekwondo Team Championships kicked off at Fujairah’s Zayed Sports Complex. 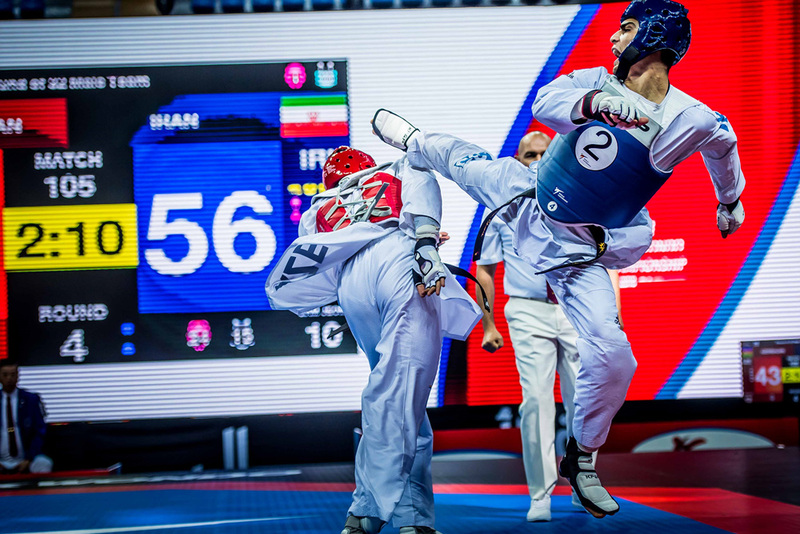 Team Championships are taekwondo’s most spectator-friendly format, featuring all-out attack, lightning fast player substitutions and intense action. As a general rule, team competitions ignite crowds who are left cold by the more tactical and more slower-paced individual game. The preliminaries of the men’s and women’s teams were fought today: the semi-finals and finals will be held tomorrow. In the men’s category, Azerbaijan, defending champions Iran, Kazakhstan and Russia are all through to the semis. China, Cote d’Ivoire, Korea and Uzbekistan, however, were eliminated. 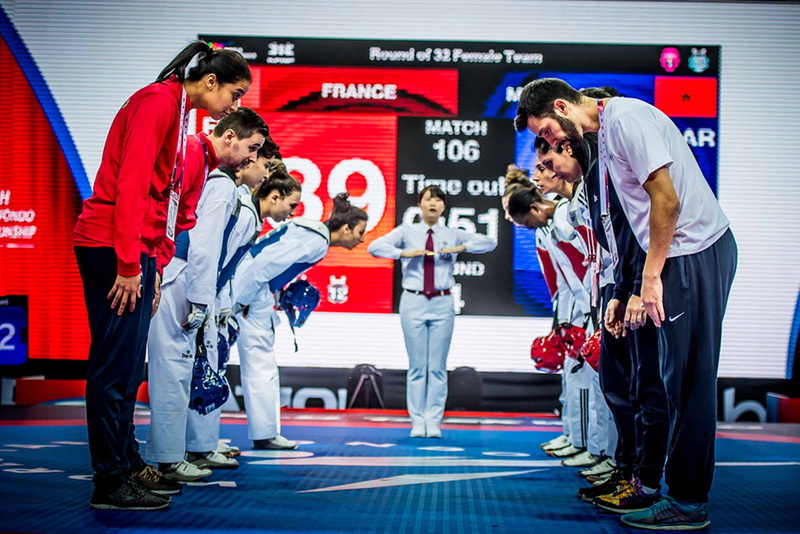 In the women’s category, defending champions China, as well as Cote d’Ivoire, France and Russia are all through to tomorrow’s competition, while Korea and Morocco were both knocked out. 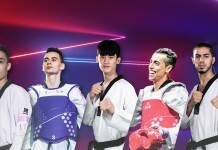 Also tomorrow, the full competition of the mixed gender team division will take place, featuring defending champions China, Cote d’Ivoire, Korea, Morocco, Russia, Turkey and Kazakhstan.